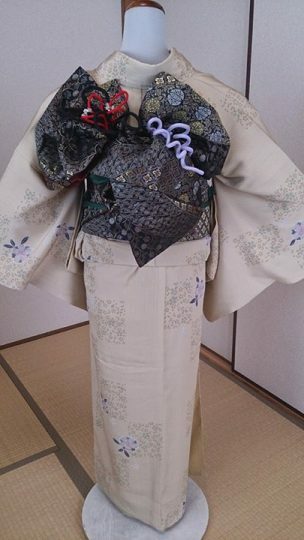 Again, we used a mannequin to practice adorning others in kimonos. It actually requires quite a bit of energy! I was really satisfied though that both the kimono and obi (sash) turned out nicely this time!